Internet Marketing Links Exchange | Credibility the Search Engines Love! 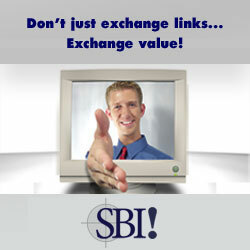 Site Build It’s internet marketing links exchange program is called ‘Value Exchange’. It’s free - like a dozen other SBI tools – for anyone to use. Value Exchange is a match-making genius of the web, partnering webmasters with other participating webmasters based upon keyword matches. Webmasters can then filter in or out matches which they want to send a links invite to. Why does Value Exchange work on keywords? Having two related websites link to each other adds an incredible amount of credibility. If you think about it, each link must be planted and nurtured by a human webmaster - it is a seal-of-approval if you like. Search engine robots are smart, but they lack the judgment and critique of a human being. Now if you have two webmasters link to each other and they’re in the same or similar niche – you have two humans recognizing each others websites as being key sources of information. That is VALUE! That’s value to the search engines because you’ve unearthed sufficient human judgement (between two niche experts) to give the two websites credibility. Search engines are in the business of providing the best editorial search results for their surfers, so they are more likely to click on adverts – the search engines real customer. 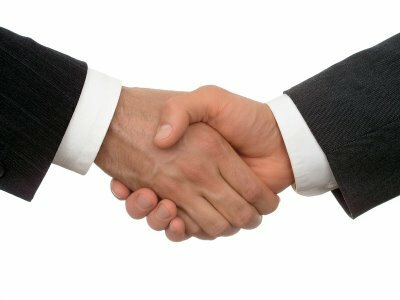 So that’s the power of an internet marketing links exchange – ready to find out how to get the most out of it? When you sign-up you’ll be prompted for up to 20 keywords related to your website. If you’re unsure what keywords to use try using this free Wordtracker tool and enter some general keywords. Keep your keywords general anyway – you want to find as many matches as possible, whilst keeping it relevant. Wait until you receive an email saying ‘You’ve Got Matches’ (should happen within a few hours if there are any matches) and then go back to Value Exchange and select the ones you want to exchange with and send your link request. Ditch the poor-quality sites – it reflects badly on you if you link to a bad website (and the search engines will find out!). Change all 25 keywords. Experiment with broader or narrower search terms, related topics (for example; fruit and veg – search dairy products) and specific terminology. Rinse and repeat – keep going until the number of sites turning up gradually loses momentum. That’s why I can it a “cyclone” – make it as powerful and intense as possible, search out any possible last link exchange partners. Then leave it and come back in a few months when more members will have joined - even recommend other webmasters where appropriote. So we’re happy with the concept that links are measures of credibility and value to the search engines? Content however is the ultimate search engine hook – nothing substantial on the page and the search engines will serve their interests first and ignore you. Article exchanges are essentially when each webmaster writes an article about their website and niche and then swaps it with another webmaster. An article exchange needn’t be that complicated – I like to take one of my existing articles and tweak it so it fits my exchange partners sites theme better. Article exchanges are great because you get link credibility and extra content – it takes a little more time, but perhaps that little bit of editing is worth it in the end. Interviews spread virally (which also seeds more backlinks) and if you’ve got someone at the top of their field as a links exchange partner, consider interviewing them about your sites niche. Post it with a link back to their website. Even ask to get interviewed yourself – hey, you could be famous one day!